In our refrigerated room, we carry individually wrapped chocolates from Walnut Creek Foods. First time in? Let us know and you'll get your first piece free! 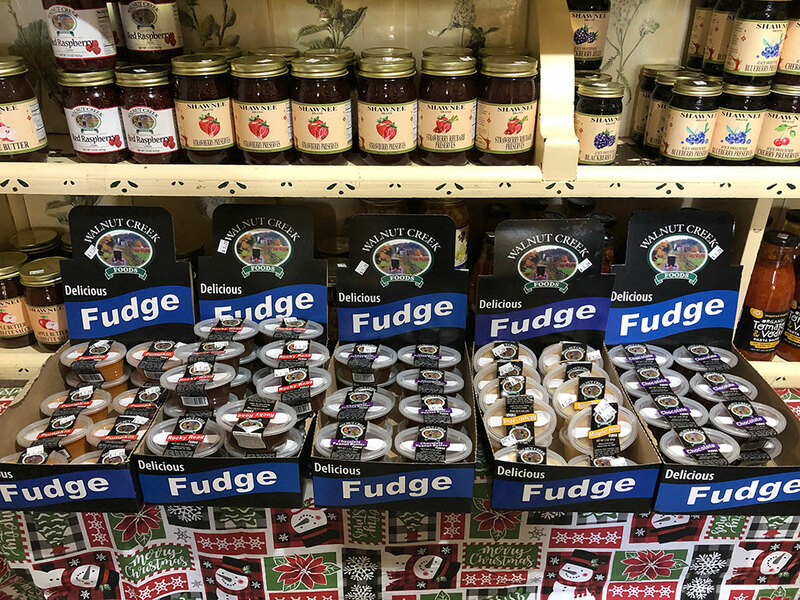 Look for our individual fudge cups...perfect for a snack on the go! 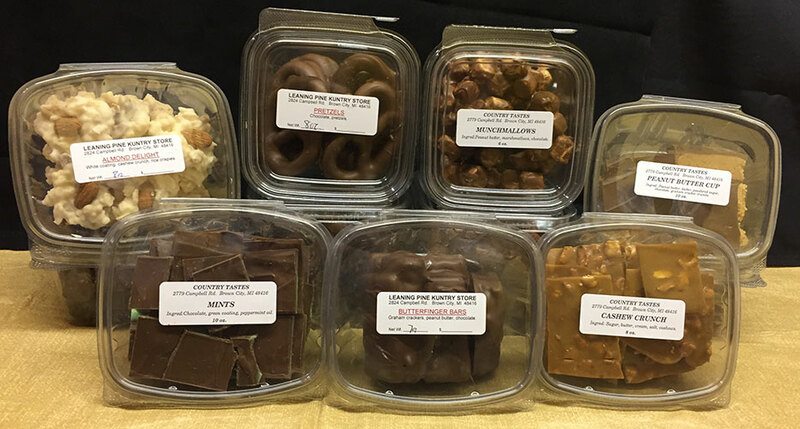 Let us delight your sweet tooth every November through February with authentic Amish made chocolates from Marlette, Michigan.